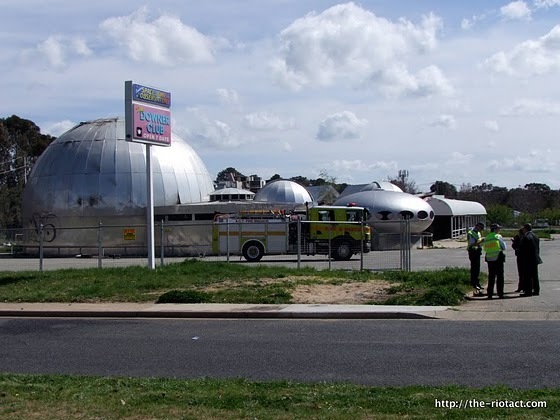 An 090712 blog post titled "Beam me up, UC" by Tim The Yowie Man on canberratimes.com.au relates some of the history of this Futuro based on research conducted by UC student Erika Ceeney. Erica's research places the Futuro initially at the Building Materials Exhibition Center in Maryborough Street, Fyshwick around 1972. It seems that the unit subsequently spent time on a private farm in Sutton and later moved to the Macquarie Slide Swimming Center [possibly painted red at that time]. The whereabouts of the unit between 1991 and its arrival on this site in 1997 are currently unknown. If anyone has any photos of the Futuro pre 1991 I would love to see them and also if anyone can shed any light on the 1991 to 1997 period during which the Futuro was "MIA" that would be great. 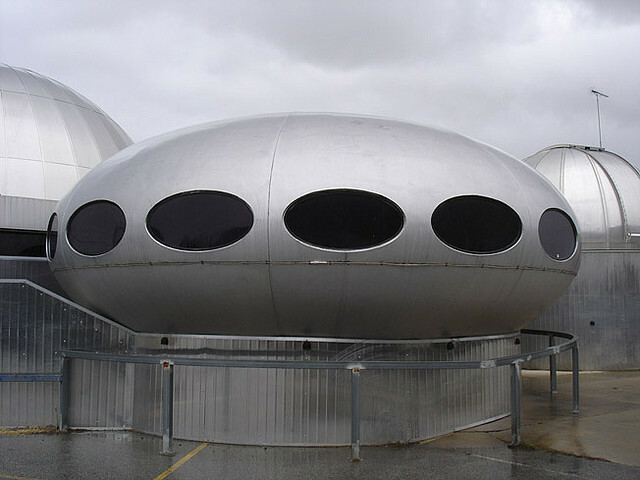 The Dickson Futuro served as a meeting room for the Canberra Planetarium up until its 2007 closure. 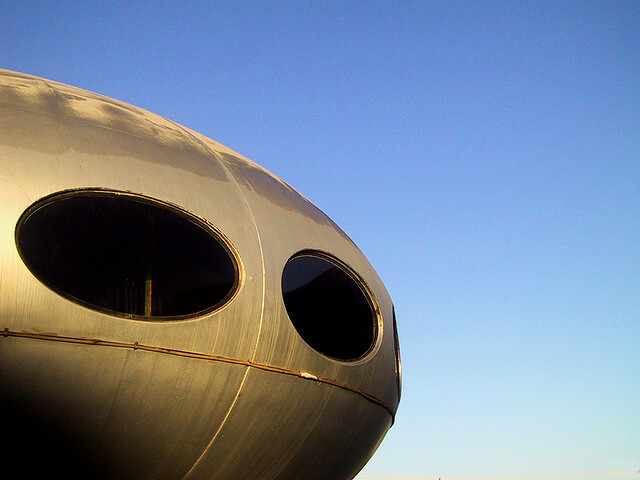 In 2011 the Futuro was moved to the University Of Canberra Campus where it is being restored. 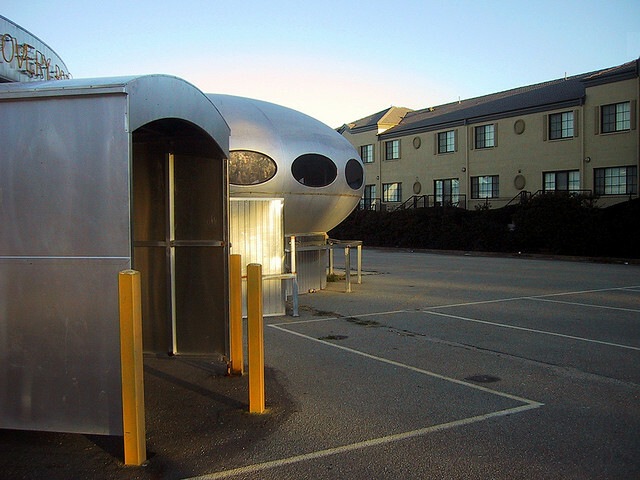 In September 2010 the Futuro had a lucky escape. 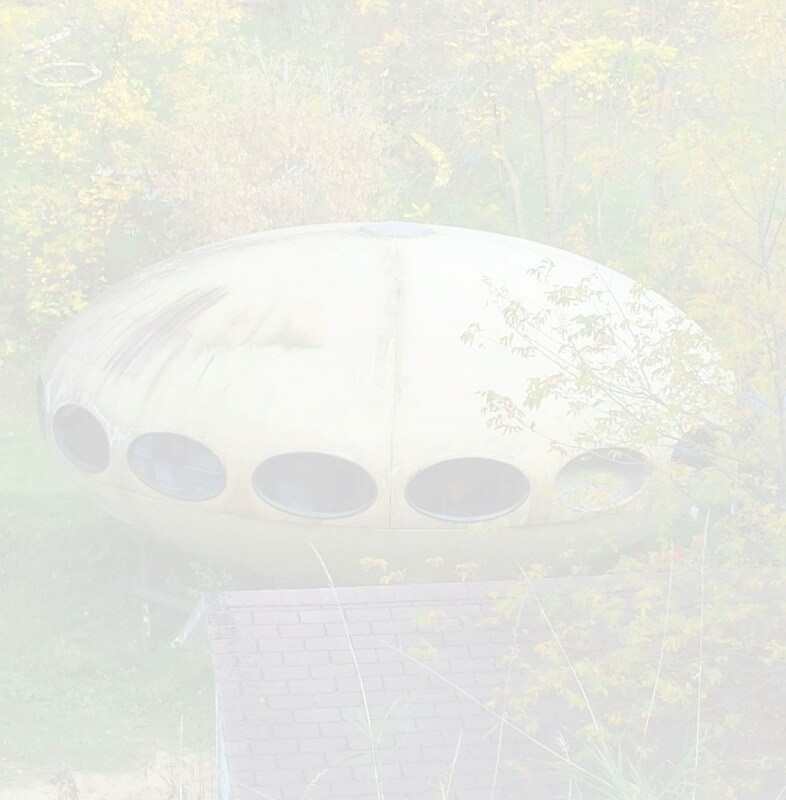 An article on TheRiotAct.com September 28th reports on a fire at the "derelict" planetarium buildings. Apparently some parts of the property were badly damaged. Clearly the Futuro was not destroyed or there would be nothing to restore at the university but I have been unable to find any reporting that details whether the Futuro received any damage or not. The Shopping Sherpa blogged about the Dickson Futuro and also made available under a creative commons license a very nice gallery of photographs of the building [a couple of which can be seen to the left].